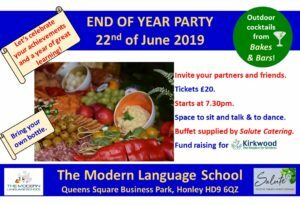 Your school will have been in Honley for a year this July. With this newsletter, we would like to thank you all for your positive and kind comments about the new premises. It has proved invaluable to be on the ground floor and also to have so much more space! Moreover, our new landlords are very co-operative, which has allowed us to plan the school exactly as we wanted it – finances permitting. Many of us are also enjoying the new addition to refreshments: real coffee! We missed our winter fund raising party so now is clearly the time to celebrate. Last but not least, the academic year is ending, a testimony to your hard work and motivation to learn. 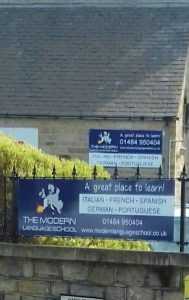 The Modern Language School is already 8 years old, a mature business in the community. In addition to this, Kirkwood Hospice plays a vital role in our community and deserves our support. Finallty, we now have premises where we can hold our own celebration, with a room for dancing and plenty of quiet space for chatting. So it’s time to celebrate! 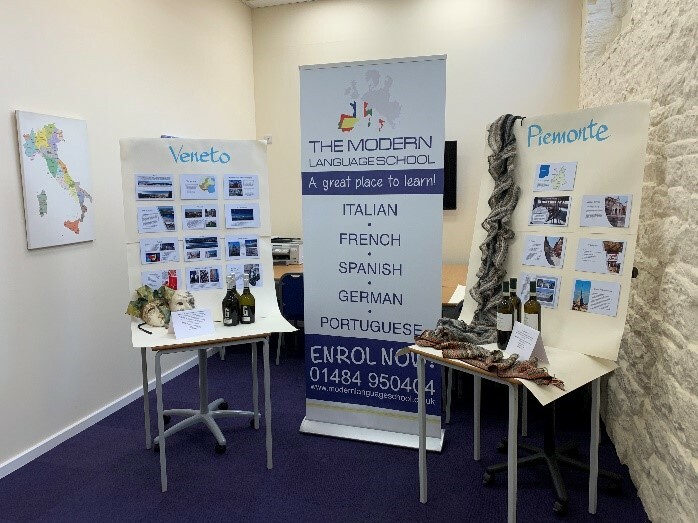 8 Italian classes with a new class starting after Spring Bank break: Italian for Holidays – 7 weeks – £86.10 – if you know anyone who is going to Italy on holiday then this could be ideal for them. 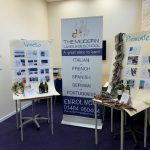 We have held monthly French conversation classes as well as a number of Italian conversation classes and cinema sessions. Remember the importance of watching films in the language you are studying, a fun way to develop your language skills. 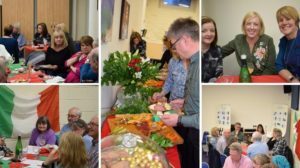 On Friday 5th May we held an Italian cultural evening in conjunction with Salute Catering. With food and wine from 5 different regions. This was a well-attended event and a great success. Salute Catering is a new business which one of our students, Kay Brennan, has set up and we are happy to support her in this new venture.